By the very fact that the members have chosen to come together and make this investment in time and money suggests that awareness (for resilience and wellbeing) in the workplace already exists in their worlds. Hurdle one; complete. At the other end of the model, both Responsibility and Action are factors, which need to exist in the member’s own workplace. So that leaves just Vision and Imagination in the middle. We have already spent quite a bit of time reflecting on Vision this year, exploring question such as, do we have one, is it working, does it need to be separate or integrated from our overall vision, how might it need to evolve? And then looking more closely into our motivation for wanting to do more with Resilience and Wellbeing at work, are we merely looking to be compliant, or in fact are we drawn to a more strategic, cultural approach that goes beyond ticking some boxes for CSR? All big questions with many responses. Our September gathering is our members only, full-day event and it gave us space and time to be in imagination. We hoped to inspire with ideas that already existed and which might invite further imagination into other possibilities. We invited two very different wellbeing advocates to come and share their journeys with our members (more on that later) and we also created time to share two pieces of work that have lived well within Oasis for some time, that shine a light on two different approaches to cultivating more Resilience and Wellbeing in the workplace. We started our day focused in on the micro level; the individual at work and what might be required. Jodie Hill, Director of Thrive Law is a massive advocate for mental health in the workplace and is championing Yorkshire-based organisations to take a proactive approach to this by signing up to the Mindful Employer Charter created by Mind Charity. More on this here. We spent time exploring mental health and what activities our members are already taking as well as what else they could do. Conversations included rolling out mental health first aid training, introducing a prayer room, which could be used for meditation, implementing awareness training across the board and an open door policy for anyone who wants to talk. And there was vibrant conversation around the challenges of creating a culture which empowered individuals when there was so much stigma involved. We then took our lens a little wider and started to look at a more proactive approach to supporting the individual in the workplace by exploring a Whole Person Approach to RAW. In order to make our way into the session we needed to acknowledge that the world is full of uncertainty, that it’s constantly changing and that underpinning any approach to RAW in the workplace needed to include a level of flexibility. The capacity to know that what we might need today, might indeed be different tomorrow. We put the concept of time versus energy under the microscope and all agreed that it does no good to your health if we focus on time as our only resource given its finite nature. Energy, however, was way more creative. We can create it, cultivate it, nurture it, expand it, renew it. Its potential to be used as a more helpful resource was way more creative than time. As a group we spent some time individually self-assessing our own energy across the five principles of Whole Person Approach to RAW; Physical, Emotional, Mental, Spiritual, and Creative. Ideas and inspiration seemed to be popping in all corners of the room. After a delicious and nutritious lunch, we took our lens even further out with our second speaker, Sarah Moore, who is currently responsible for the roll out of a very strategic and proactive approach to Wellbeing in the Workplace at Yorkshire Building Society. We are yet to come across a local organisation doing more than YBS in this space. It was great to hear more about the motivation, the vision, the stakeholder management that was an essential part of its success and also the variety of aspects they’ve tackled, from physical and mental health to financial health (a legal pre-requisite of being a financial services firm). It was also interesting to hear the role measurement had throughout the 18-month journey and how we might learn as a network to bring more of that alive in our own journeys. Our final session took the lens of resilience and wellbeing wider still as we started to look at it from the perspective of the organisation and it’s contribution to change in the wider world. 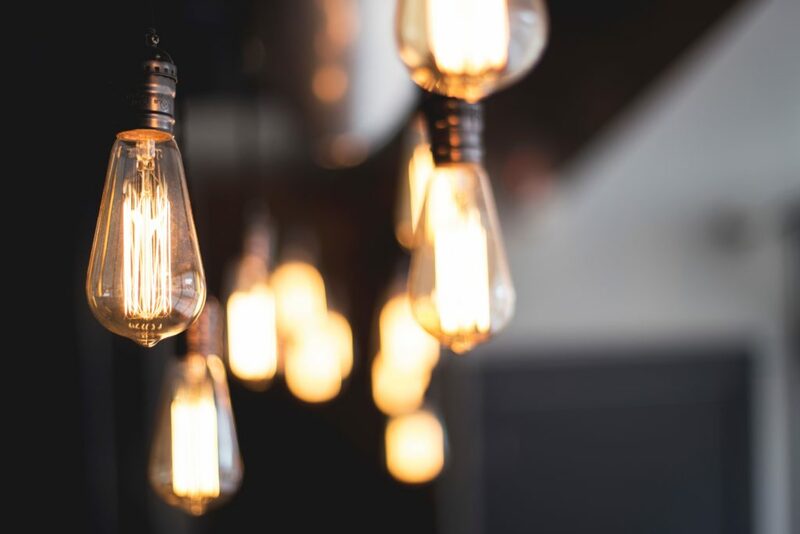 What would the world be like if all organisations took a more proactive and integrated approach to Resilience and Wellbeing by consciously choosing to invest energy into ‘the way we work’ to cultivate a better environment for all? Big questions with no easy answer. We’re good at doing that at Oasis, we ask the questions that have no right to go away (if we care about people and planet). We used the Workplace of Tomorrow study to lean into these questions, first looking at the 13 paradoxes that were discovered through the enquiry; the factors of contradiction we find ourselves trying to survive in. For example; the need for BOTH control AND creativity, more with less, technology as both a connector and an isolator. 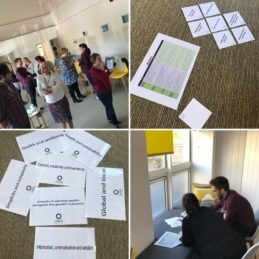 Afterwards we moved into further review by using the 7 principles (of thriving within those current paradoxes) and played the diamond nine game in pairs to assess which of those 7 principles needed to be prioritised in our workplaces in order to bring more RAW to a the wider picture. If you’re interested in knowing more about the Workplace of Tomorrow study, you can read more here. It was a day chock full of sharing thought-provoking content to spark other ideas amongst our members that they have taken away to ‘play’ with in their worlds to create their own meaning about what we are learning around Resilience and Wellbeing and we loved every minute of it! Our meeting in November will certainly see us celebrating the year we have spent together exploring this topic.